Our office has updated our online security by converting our website to HTTPS and securing an SSL Certificate. You can feel confident in the safety and confidentiality of the information you provide us by seeing the connection is secure in the web address bar and the lock is locked. 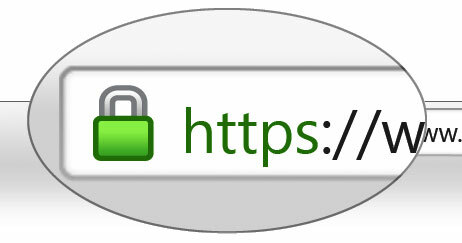 SSL Certificates are small data files that digitally bind a cryptographic key to an organization’s details. When installed on a web server, it activates the padlock and the https protocol and allows secure connections from a web server to a browser. Typically, SSL is used to secure credit card transactions, data transfer and logins, and more recently is becoming the norm when securing browsing of social media sites.